The Coquina Baywalk at Leffis Key is one of the top free attractions in the Bradenton Beach area on the south end of Anna Maria Island at 2651 Gulf Drive South Bradenton Beach, FL. 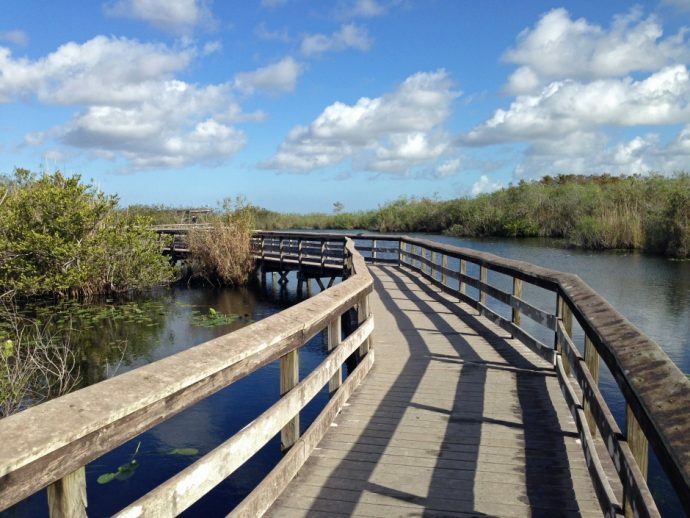 This incredible nature walk is located in the Leffis Key Preserve, one of the few remaining protected areas of the island. It’s your top choice for the next place to take the family after visiting Coquina Beach which is right next door! The Coquina Baywalk is packed with wildlife and it all can be viewed from a safe distance on an approximately one-mile long spacious and well-built wooden boardwalk. The Coquina Baywalk gives you an amazing vantage point of the 30 acres of restored habitat at Leffis Key. This nature preserve is the product of a careful and long process to bring back native Floridian species. The area was previously destroyed as the result of the dredging of the Intracoastal Waterways which occurred decades ago in the 1950s. The dredging caused the seagrass beds to be covered up in the area and non-native species began to invade. The restoration project began in the late 80s with the goal of restoring the wetlands and seagrass, reviving the mangroves, providing a habitat for spawning fish and birds, and allowing safe public access on scenic trails. Leffis Key is now one of the most important marine life habitats on Anna Maria Island, where a variety of birds feed on juvenile and small fish species in the tidal lagoons. The restoration project included planting a huge array of diverse native Florida species, which are truly impressive to see in person. Some of the native plants that you’ll find there include Jamaican dogwood, sea grapes, sea oats, beach elder, southern red cedars, Hercules’ club, strangler fig, dune sunflowers, and of course the remarkable mangroves. Volunteers painstakingly planted over 50,000 of these native plants and other upland, salt marsh and intertidal plants and trees to fully restore the habitat. The baywalk is quick but you’ll have the opportunity to see an impressive range of species including dozens of small fish species, crabs, herons, hawks, sting rays, wading birds, egrets, pelicans, and the occasional extraordinary frigatebird. You’ll find several benches to rest at along the way if you’re with young children, those with mobility challenges, or the elderly. If you head left after entering the baywalk, it takes you through beautiful mangrove tunnels overlooking the bay. If you head right, you can visit an amazing cove marked by interpretative signs describing the various habitats and the different types of plant and animal species you’ll find along it. Whether you’re a totally inexperienced or serious photographer, you’ll certainly want to bring your camera to take some stunning photos of the huge range of birds that make Leffis Key their home throughout the year, along with some of the other wildlife mentioned above that you’ll likely spot. 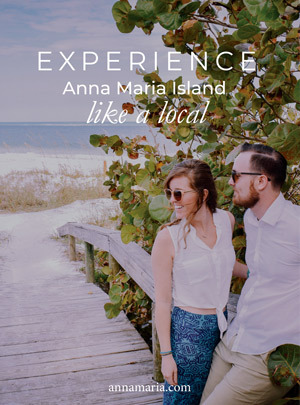 No matter what season you plan on vacationing to Anna Maria Island, the Coquina Baywalk at Leffis Key is sure to be brimming with life, vibrant, picturesque and well worth a quick visit.